The original routines of one of the greatest cup and ball men of all time. Completely revised, edited, amplified and co-ordinated. The whole field of cups and balls in one comprehensive ebook. Illustrated with dozens and dozens of clear line drawings and written so you can follow the routines with clarity and simplicity. One of the big features is the Double Load used by so many professionals. 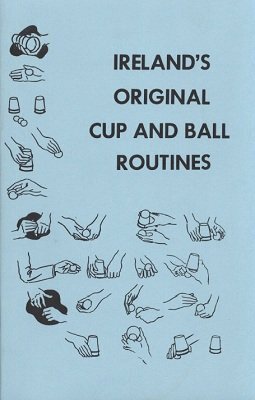 You will enjoy learning to use your cups and balls with the aide of this great ebook. Part first released in 1937. 1st edition 1961; 1st digital edition 2013, 74 pages. Among other topics, this booklet gives very good descriptions and illustrations for C&B moves with sponge balls. The information is very detailed and precise.